It was nearly impossible to make it through this past winter without having some interaction with news about blockchain technology. In an attempt to get to the forefront of a technology that could change the internet forever, the revolutionary nature of the blockchain has resulted in the development of hundreds of products and currencies. Bitcoin, Ethereum, and Litecoin are some of the popular cryptocurrencies that took the investment world by storm at the beginning of 2018. Due to investors taking chances on technologies developed on top of the blockchain infrastructure, the growing public interest created an extremely volatile stock market. The problem is many people don’t really understand what it actually is or does. Much like a car, you don’t have to understand how it works to use it. However, a baseline understanding is a good idea for people curious about the blockchains future in business and investments. Read on and improve your understanding of blockchain technology. A blockchain is a decentralized way of storing and changing information, and began gaining fame when implemented to support Bitcoin transactions. Moving away from the old way of storing information in one or a few locations, the blockchain creates a digital ledger that is duplicated on thousands of nodes across the world. Nodes are essentially any computer that has joined the blockchain network in order to store, change, and confirm transactions. The easiest way to picture it is as a document that is stored across a network of computers. The network is designed to make regular edits or updates to this document. The only way the document can be edited is when the network’s nodes mutually agree that the edits should happen. The main implications of this technology currently are that they take banks and creditors out of the process of sending and receiving payment. However, since blockchain is information based, the possibilities of future uses are endless. Why is the Blockchain is Better Than Centralized Storage? As mentioned before, taking the third party out of transactions could save major corporations millions of dollars in fees per year, but that is not the only reason a decentralized system is the preferable option. Data security has been in the limelight over the past few years, and its importance has only continued to grow with the blunders of major corporations like Facebook and Yahoo!. Blockchain technology eliminates having a single vulnerable point like a computer or server for hackers to exploit. They may be able to find their way onto a single node in the network, but the only way they would be able to make changes to the chain is by overriding the entire network with an unrealistic amount of computing power. Fraud, corruption, and hacking aren’t eliminated completely but are substantially more difficult on a decentralized network. Technology is the fuel for every industry, and travel is no different. 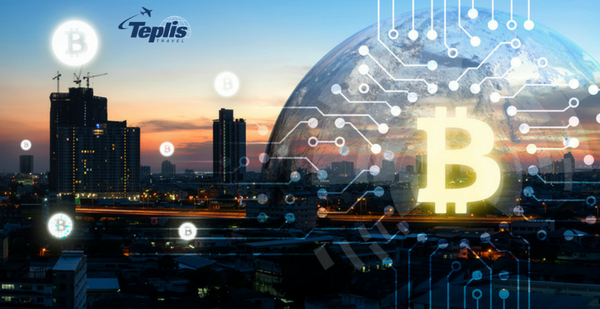 At Teplis, we stay current on developments like the blockchain ensuring our customers the best travel experience. If you’re looking for more information on how the blockchain is changing business or need assistance on booking your corporate travel, contact us today! Copyright ©2015 by Teplis Travel Service.